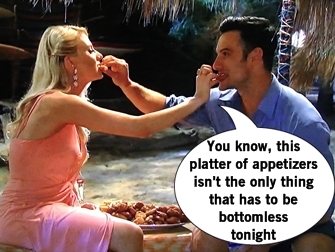 Bachelor in Paradise: Toodle-loo Twins! Ashley I continues to ugly cry that Jared can move on but she's not able to, but wipe that runny mascara because Wells is here! It's as if the producers realized 4-5 episodes of Ashley I sobbing needed to end and were like "Better send in Wells!" 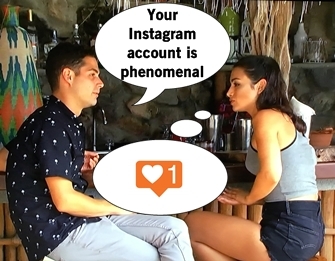 Wells doesn't need the entire cast to tell him to pick Ashley I since he thinks she has a "phenomenal" Instagram (the feeling is mutual), asking her out on a fate. The entire cast cheers at the prospect of Ashley not moping around all day. Wells and Ashley eat tacos and talk about her failed relationship with Jared and him not just being the revenge guy. They bond over a shared love of dogs and Wells super impression of a stray dog. Ashley and Wells kiss then light a wish lantern and send it into the sky... which ignites into a fiery inferno and plummets back to Earth. I love a good bad omen! 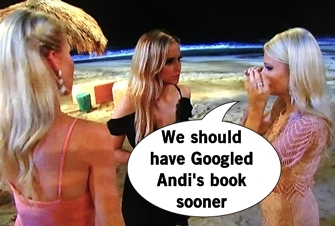 But before the twins leave, they have some parting warnings for Amanda. The twins worry that Josh's intentions aren't pure, possibly just coming on the show to fix his image with America's sweetheart Amanda. Josh comes over and Amanda cries to him about what the twins said and when a "source" is hinted at, Josh calls a big group meeting to give everyone a dressing down. His dog had cancer, people! Then Nick pipes in that he is not sure Josh is genuine and it all pops off into a bigger argument. Amanda cries a little more before declaring to Josh and his luggage that she trusts him and no one can tell her what to do. A chick named Jami arrives in Paradise eager to meet Wells because I guess 24 hours without Ashley I being insecure is too long. Except Ashley takes it totally well! Wells and Jami ride a dune buggy and get splashed with mud and if this sounds familiar, that's because Ashley I and Jared had this exact same date last year. They talk comic books by a waterfall which makes Wells all hot so they kiss. Ashley and Caila talk again and Caila insists Ashley's presence hinders the possibility of her relationship with Jared ever growing and she wants to leave. But what will Caila do? !